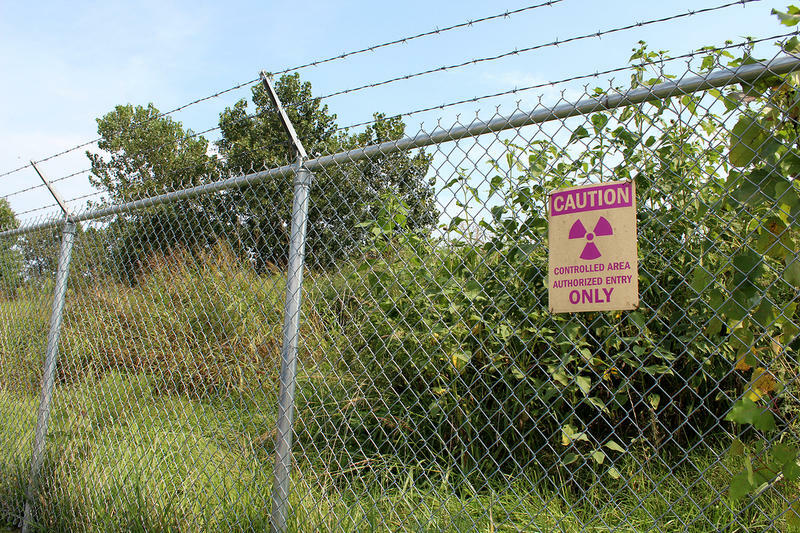 Legacy nuclear waste at the West Lake Landfill in Bridgeton was thought to be contained behind this fence, but a new study has detected radiation in trees offsite. Updated 5:20 p.m., Sept. 3 with additional comments — Radiation from the West Lake Landfill in Bridgeton has spread to neighboring properties. That's according to reports released on Thursday by Missouri Attorney General Chris Koster. The reports also suggest the underground fire at the neighboring Bridgeton Landfill is moving in the direction of the radioactive waste. 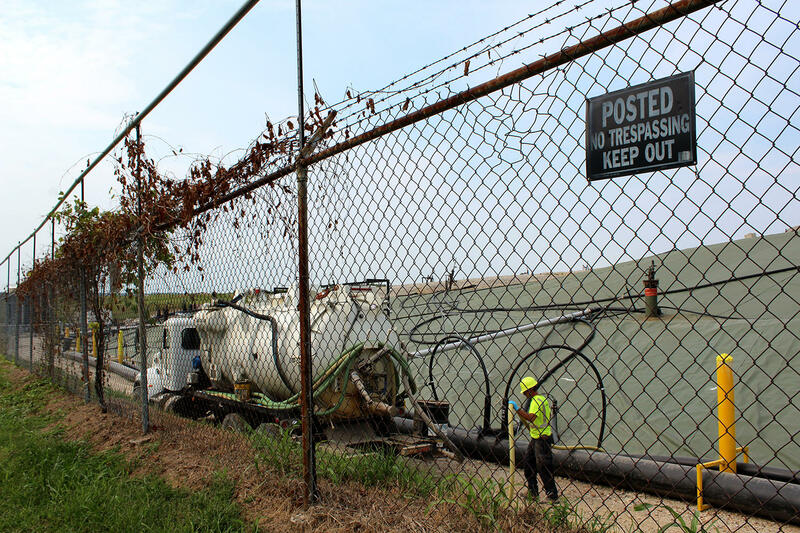 Landfill owner Republic Services maintains that the situation is under control and that the subsurface chemical reaction is headed south, away from the known area of nuclear contamination. According to a news release from the attorney general's office, Koster gathered the nine reports in support of an ongoing lawsuit the state filed against Republic Services in 2013, for alleged environmental violations at the landfill. Radiological and organic contamination has been detected in trees on properties neighboring the landfill. 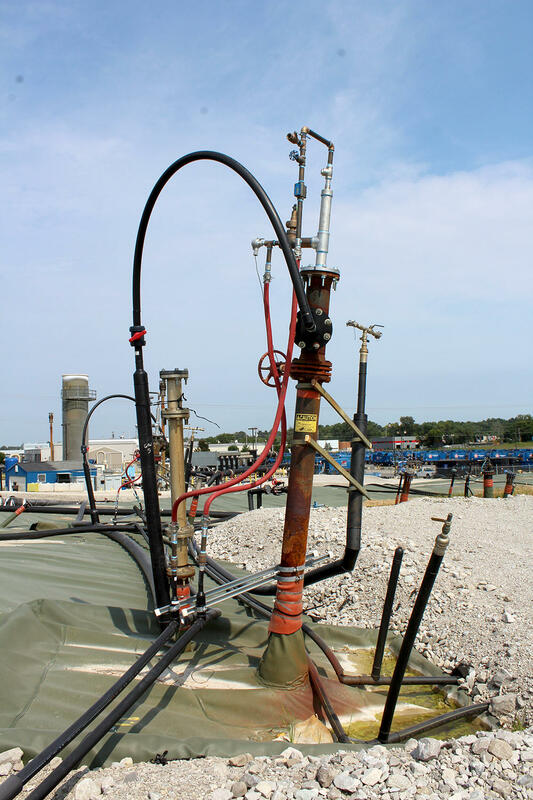 Volatile organic compounds, also known as VOCs, have been found in "high concentrations" in the groundwater in wells outside the perimeter of the landfill. Those contaminants include benzene, acetone, and 2-butanone. The underground "fire" — or high-temperature chemical reaction — in the Bridgeton Landfill is expanding north, toward the radioactive waste in the adjacent West Lake Landfill and has already moved beyond the gas interceptor wells in the “neck” of the landfill that are intended to stop its spread. Republic Services has negligently contributed to the growth of the underground reaction by "aggressively over-extracting the gas system well outside industry best practices." 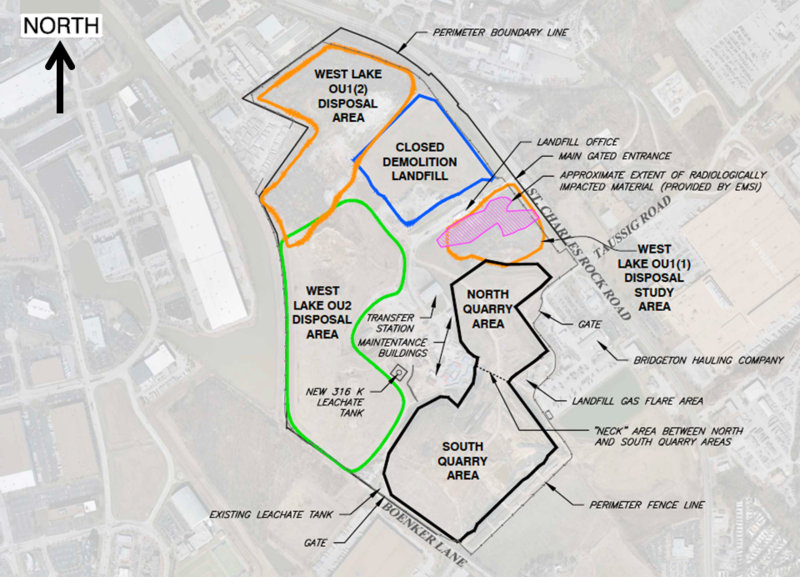 Landfill owner Republic Services has spent millions trying to contain the high-temperature underground reaction in the south quarry, where it began. Koster sent the reports to the U.S. Environmental Protection Agency, the Missouri Department of Natural Resources, the Missouri Department of Health and Senior Services, and the St. Louis County Public Health Department. In a written statement, the U.S. Environmental Protection Agency said it had just received them. "All valid scientific data related to the West Lake site are of interest to the agency," the EPA said. "We will include all pertinent data in our decision making at the West Lake Landfill Superfund Site." The EPA has regulatory oversight of the landfill's radioactive waste, although some residents and government officials want that authority transferred to the U.S. Army Corps of Engineers, which is cleaning up other legacy nuclear weapons waste sites in the St. Louis area. One of the reports concludes that the subsurface fire has already moved beyond the two lines of gas interceptor wells intended to stop its progression north towards the radioactive waste. 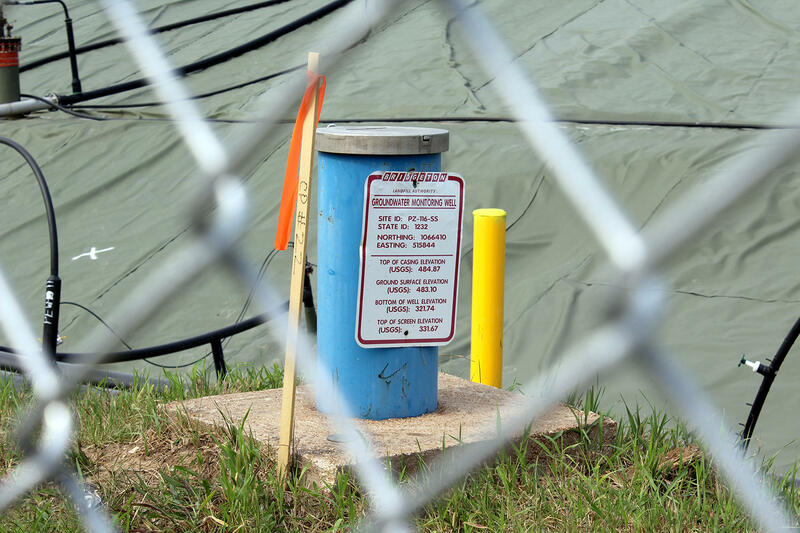 In May the EPA began preparations for additional radioactive sampling at the landfill, but the agency did not plan to sample adjacent properties. Those testing results are not expected before the end of the year. Earlier testing by the EPA found radioactive material closer to the underground fire than previously thought, and an analysis by the U.S. Geological Survey confirmed radioactive contamination in groundwater underneath the landfill. Kathy Bell lives in Bridgeton about a half mile from the landfill. She said the new findings were no surprise — but still came as a shock. "That there is radioactivity found offsite, that it has definitely migrated — I think the part that it was found in trees, that part is shocking," Bell said. After more than four years of living next to a smoldering landfill fire, Bell said she has had enough and wants a buyout. "One of the employees from the landfill said that it could take another five years or more before that fire goes out. Well, we can’t take another five years of this," Bell said. "It’s not just the nuisance odor, so to speak, it’s the toxic cocktail that we’re exposed to. And possibly with radioactive material mixed in with that." A worker does maintenance on a wastewater pump at the Bridgeton Landfill on Aug. 28. 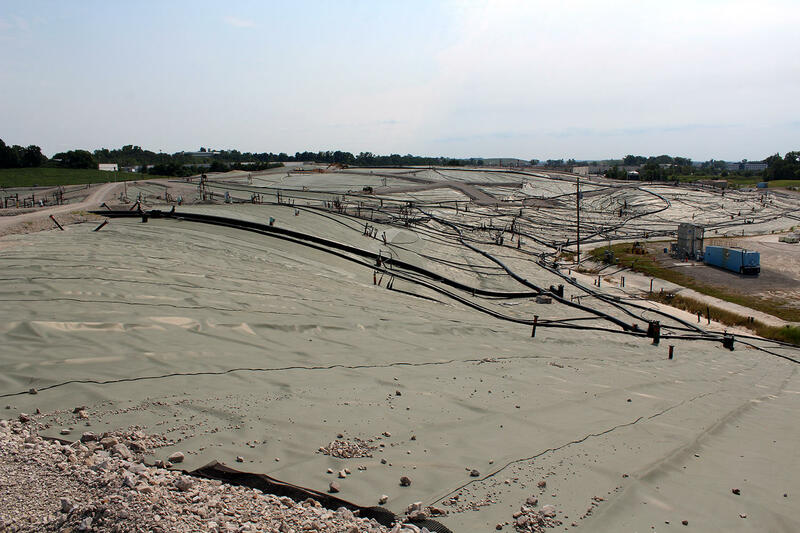 In an interview last week with St. Louis Public Radio, Bridgeton Landfill environmental manager Brian Power said the subsurface reaction is concentrated in the southeast corner of the landfill — the part of the landfill farthest from the known area of radioactive waste. Power said there is no sign of unusual heating in the north quarry, and that contrary to allegations by the Missouri Department of Natural Resources, temperatures in the neck of the landfill have stabilized. "It’s not an increasing trend, it’s showing very stable conditions," Power said. In a written statement, landfill owner Republic Services called "key aspects" of the state's reports "simply irresponsible." "Many of their taxpayer-funded conclusions are overstated, others are scientifically wrong," the company wrote. "Regrettably, the state appears intent on making conditions seem scary, which only exacerbates public angst and confusion. Despite the theatrics, the state’s experts found no threat to public health or safety that actually exists." Unhealthy levels of radium, a radioactive metal, have been measured in some groundwater wells at the Bridgeton Landfill. Republic Services went on to say that the landfill is in a "managed state," and that the state's reports do not provide any new data showing that the subsurface reaction is moving in the direction of the radioactive waste. Over the past three years, the company has spent more than $150 million trying to contain the underground fire's spread — and to address odors, contaminated wastewater and other associated problems. Republic Services said it intends to submit its own expert, scientifically based reports on or before Oct. 16. You can find all of the state's reports on the Missouri attorney general's website, here. Missouri environmental officials are ordering the owner of a landfill in Bridgeton do more to prevent a smoldering subsurface fire there from spreading. The Missouri Department of Natural Resources wants to keep the underground reaction from coming into contact with radioactive waste stored nearby. But Republic Services, the owner, insists the situation at the Bridgeton Landfill is under control. Updated 1:15 p.m. and 3:15 p.m., Sept. 18 with U.S. Department of Energy response and comment from Sen. McCaskill's office - The U.S. Department of Energy is denying a request from members of Missouri's congressional delegation to transfer authority for the cleanup of radioactive waste at the West Lake Landfill in Bridgeton from the U.S. Environmental Protection Agency to the U.S. Army Corps of Engineers.